Google has recently announced several updates to their core algorithm. 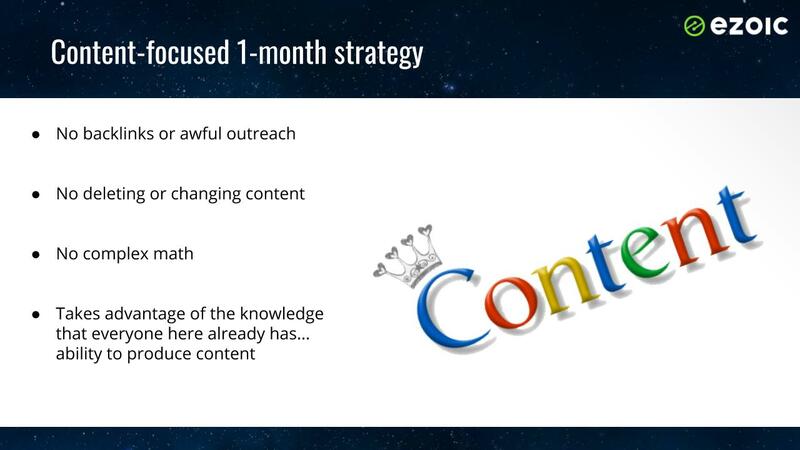 Google has said that they do this several times a year and that these updates primarily focus on “search relevance”. So how do publishers ensure that they aren’t bitten by Google’s core algorithm updates and how do they improve their content’s search relevance? Above, you can watch a recent web event I recorded outlining an exact strategy that publishers can use to improve search relevance for keywords that are low-hanging fruit. This means improving content that is currently not ranking high enough to produce lots of organic traffic… but could be. Below, I’ll walk you through this strategy step-by-step. I’ll show you how to improve search relevance and come out on top when Google updates their core algorithm. Can you improve search relevance? 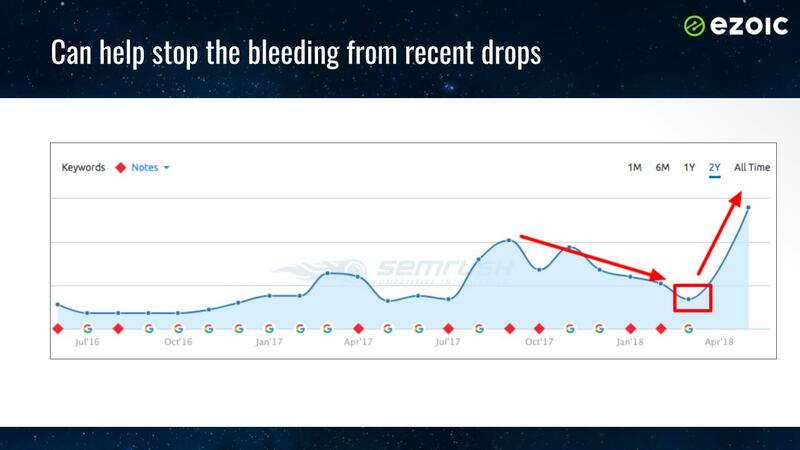 When Google announced the core algorithm update they stated very clearly, “if you lost rankings/traffic it’s because something else was under-rewarded and now ranks higher”. Does this mean nothing can be done? I beg to differ. I think you can improve relevance, and I can show you how to do it without conspiracy theories, guessing, or making you do anything overly complex. 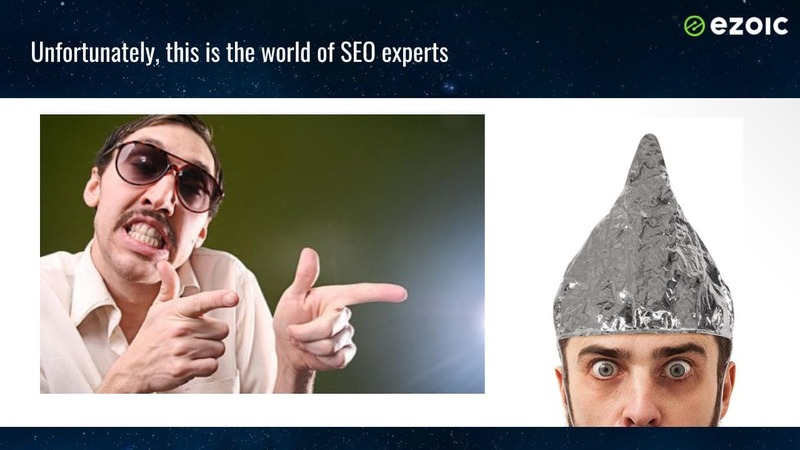 The SEO world has a bit of a bad rep; as there are a lot of unscrupulous parties involved and a lot of “experts” guessing about why a site might be moving up or down the rankings. The truth is that SEO, while complex, can also be objective if you have the right data. You don’t have to guess. 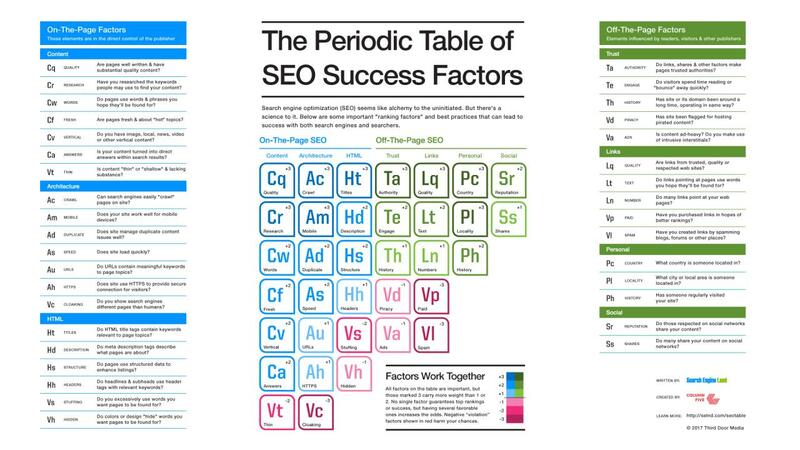 We know what elements actually play a role in content rankings. 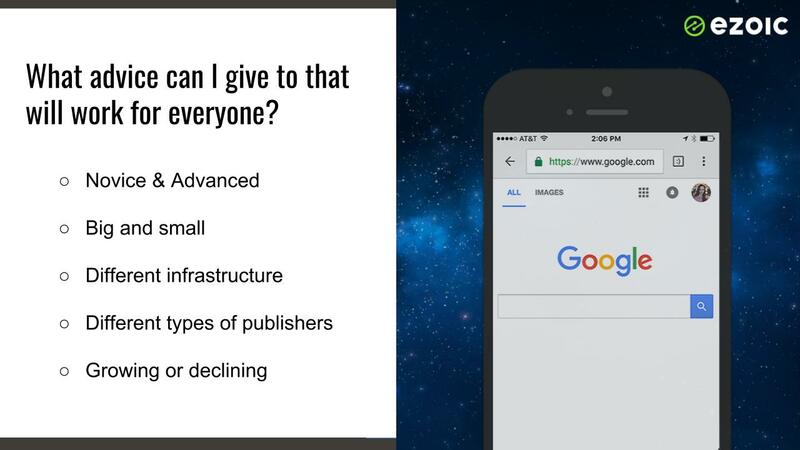 What’s actually difficult is providing broad advice to all website owners and publishers around what they can do to specifically improve how their content ranks in search engines. However, improving search relevance is actually something that I have proven that any site can do in an objective way… using real data. The secret to improving search relevance is augmenting existing content. This means updating your existing posts with information regarding specific keywords and queries that you may already rank for…. just not as high as you’d like. Will this really improve search relevance — according to Google? What’s more, it doesn’t require any awful outreach, technical knowledge, or risky maneuvers. This strategy of updating existing content — using data-driven targeting — will allow you to fully understand what content needs to be updated. It will also show you how to update that content to be more relevant for the keywords we identify in a strategic way (no guessing). 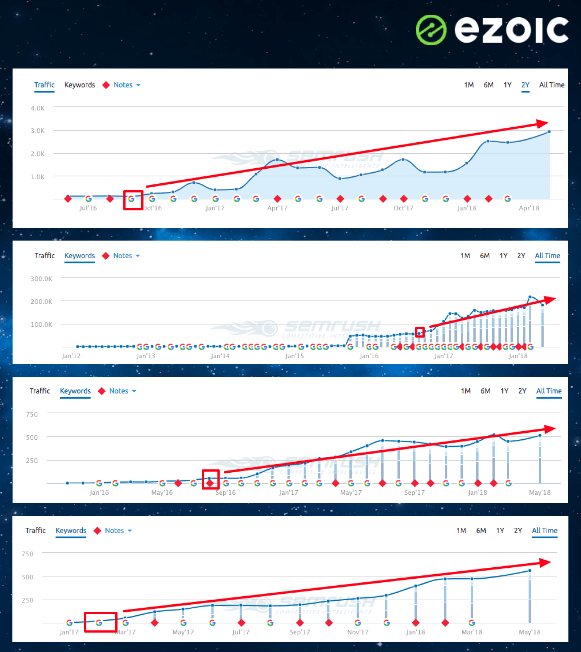 Look how this site above recovered just one month after they were hit by some of the Q1 Google algorithm changes. The tool I’m going to be using to get my data is SEMRush. There are other tools that will let you see where your content currently ranks in Google, but SEMRush is one of my favorites. Don’t have the cash for SEMRush? Get a 14-day free trial and do everything I’m about to show you how to do, then cancel it before the end of the trial. 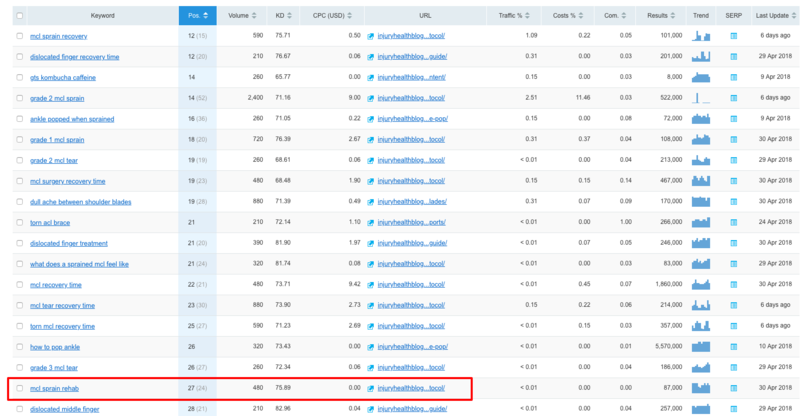 Now, we want to use SEMRush to identify all the content we have that already ranks in search engines… BUT… we only want to see the stuff that is ranking for high-volume keywords. We want to see keywords where we are almost one page 1, but still not quite there. This will allow us to identify the places where we have content that is on the cusp of generating lots of traffic, but for some reason, Google has not found relevant enough yet to rank on page 1. Note: Position filters are set to 10-30 so that I can be sure to see content on pages 2 or 3 of search results. Volume for this site is set at 200, but many sites will want to set this number higher; as they will rank for so many keywords that the highest impact will come from focusing on the largest first. In many cases, this is because the content that is ranking for these keywords is not truly all that relevant to the searcher’s query; however, we can fix that! 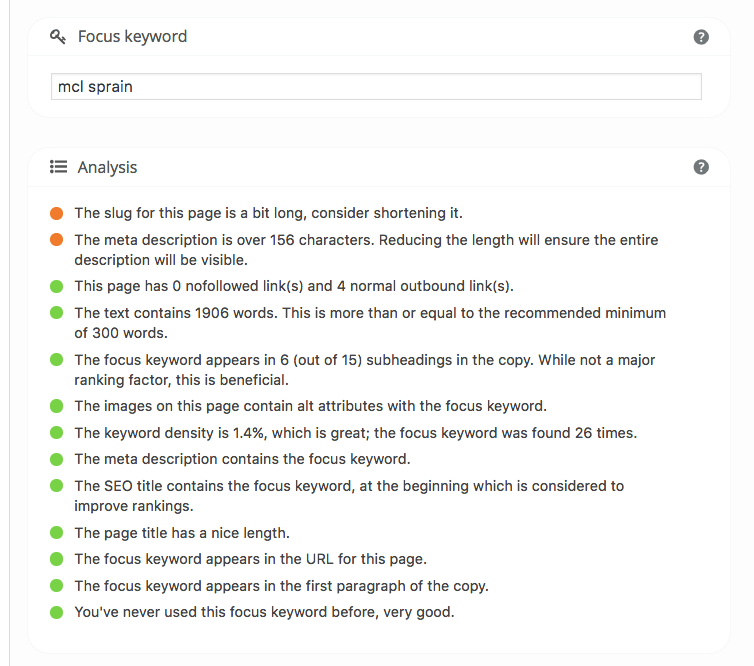 Here, we can see that there are a number of keywords to choose from after applying those filters in SEMRush. I can see what the keywords are and the URL associated with them. You may have to comb through these a bit, but what you want to find is a keyword associated with a URL that may not necessarily be designed for that keyword. 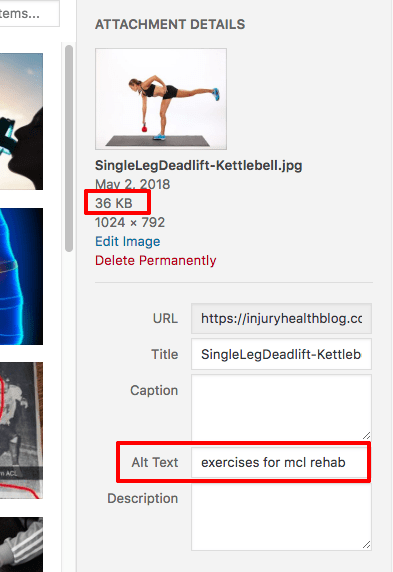 In my example, I find a keyword titled “MCL sprain rehab”. The content that ranks for this keyword all about “MCL sprain recovery time”. An MCL is a knee ligament, and in my article, I talk a lot about this injury but very little about rehab. No wonder I’m not on page one, my article isn’t as relevant as it could be for this keyword!!! My original post was optimized for “MCL sprain”. However, I only talked about “rehab” briefly in the article. Clearly, there is room to improve my relevance for keywords relating to MCL rehab. It’s pretty easy to see why my content doesn’t rank on page one for this query. In my entire 1,500+ word article, I only wrote 50 words on MCL rehab. Before I start strategically adding content to my article to make it more relevant for my new keyword, “MCL sprain rehab”, I should first find out what other relevant keywords I should be thinking about when adding to this article. In this case, I know my URL and I know the type of content I need to add to it. Let’s see what other keywords/topics I should account for before I start writing up some additional content for this article/post. I go back into SEMRush and run my advanced filters again. This time, I only want to see results for the URL I am working on, and other keywords that contain the word “rehab”. This gives me a great idea of the types of content I need to create to improve search relevance for these types of search queries. These are the questions my new content needs to answer!!!! Now, I have some data to fuel my content improvement on this URL. I know what keywords I’m targeting and have a good idea of what people might be looking for when they search these things. (You can always search these keywords yourself to get an idea of what other stuff is ranking ahead of you currently too). I can now start writing some new content. In the GIF above, you can see that I have added two brand new sections of content to the article. Both are headlined by new <h2> sections that include some of my new keywords in the form of a question that I think a searcher might ask. This increases my chances of ranking #1 in Google automatically by having my answer featured in Google Knowledge Graph. I make sure to include all 15 of my new keywords in my new content and try to ensure that I address any underlying knowledge that I think a potential searcher would want to know about those particular subjects in the context of my article. Additionally, I break up all of my new content in very short sentences/paragraphs. This allows me to showcase specific answers that may include singular keywords one at a time; improving my chances of satisfying someone looking for something specific in my article. Remember, we want to improve relevance. No one wants to dig through big blocky paragraphs to find answers to their questions. Lastly, you can see I’ve added some relevant images to supplement my content as well. And, I’ve been sure to include my keywords in the alt. image tag. It’s important that I properly compress and resize my images before adding them to the content. The vast majority of publishers think they do this correctly but most don’t (hint: if you think a WordPress plugin is doing this for you, it’s not). Ensure that images follow these rules for optimization (not just for the new ones, but for all images on the page). This is the fastest way to speed up articles. In a time that everyone is worried about mobile speed, it is always amazing to me how many publishers are missing this easy best-practice. Now, I’ve completely augmented my content. It’s objectively safe to say that my article is now more relevant for all of the keywords that I was previously not ranking for on page one. Once you have fully-updated/added to your content, you’re ready to have Google recrawl the URL so that it can see your updates. You’ll need to go into the old version of Search Console to do this. Simply navigate to Crawl and go through the steps pictured above. Make sure to have Google just crawl the single URL; which will be one of two options you get when you click “Request Indexing”. Now, before you start any of this, there is one more important piece of data that you should have before augmenting any content. Page engagement is a really important factor for Google. We highlighted how Google looks at authentic engagement favorably in this blog post. One of the best things to know as a publisher is how the Word Counts of your content affects average page engagement. Surprisingly, it is not always linear like this. Often shorter articles can prove to have higher engagement times and lower bounce rates. The only way to know for sure is to measure your site. Wouldn’t you like to know if by adding 250 words to an article could triple the average engagement time of that article? We talked about the power of understanding article word count in this study here. However, engagement can specifically relate to SEO, so we want to make sure we fully-understand this going into any content improvement project. You can measure this for free using Ezoic’s Big Data Analytics. Simply go to Content > Page Details and then select word count at the top. Once you’re here, you can sort by engagement rate, engagement time, bounce rate, and more. Engagement time is different from session duration — as it is only counting when a visitor is actually reading the content — as opposed to waiting for the content to load, messing with navigation, or quickly scrolling down the page faster than a human can read. In my example, you can see that once I get over 1,000 words my engagement time nearly doubles. Imagine augmenting your content with this knowledge. If you could seemingly double or triple page engagement, how do you think Google might reward that in search rankings? Since Google has its own method for measuring this, my guess is that it would be viewed quite favorably. But… you can’t improve this unless you understand it for your site. Every site different. No matter your intention, this is a data-driven strategy that works. Not only that, but it works fast. 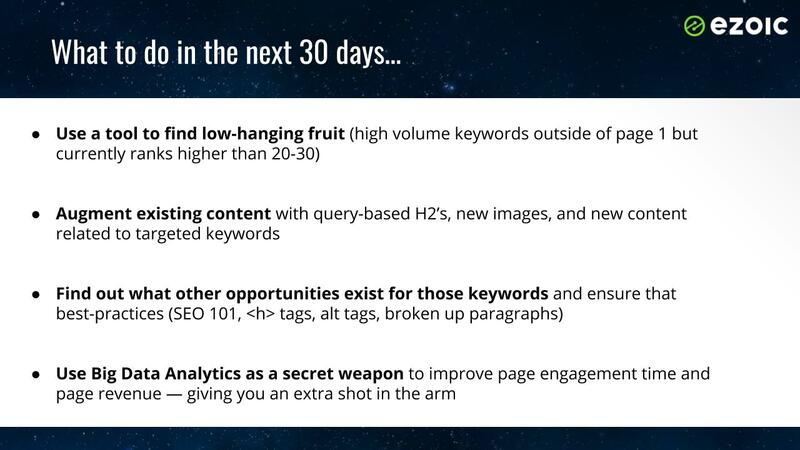 Most sites see results within a few weeks (some even sooner). If you want some more tips on augmenting and improving existing content, I wrote an older post on this topic here. It includes a few more details about physically augmenting the content but is missing some of the data-driven details. Need some help with this? This exclusive Facebook group for publishers includes a lot of publishers using this strategy. You can get them to chime in. Otherwise, you can leave comments below and I’ll add my thoughts. Excellent, as always. I’d love to see an SEO guide for user-generated content sites. Many of my pages are forum threads, as opposed to blog posts. Thanks Tyler; just registered for that webinar. Let’s see if you webinar as well as you blog! You’ve done a great job of sharing this informative and relevant article. I’ve watched your video and read the article and I must say, it’s impressive! Keep the great work going Tyler! However, in my opinion you can do the same kind of research to find the keywords using Google search console. 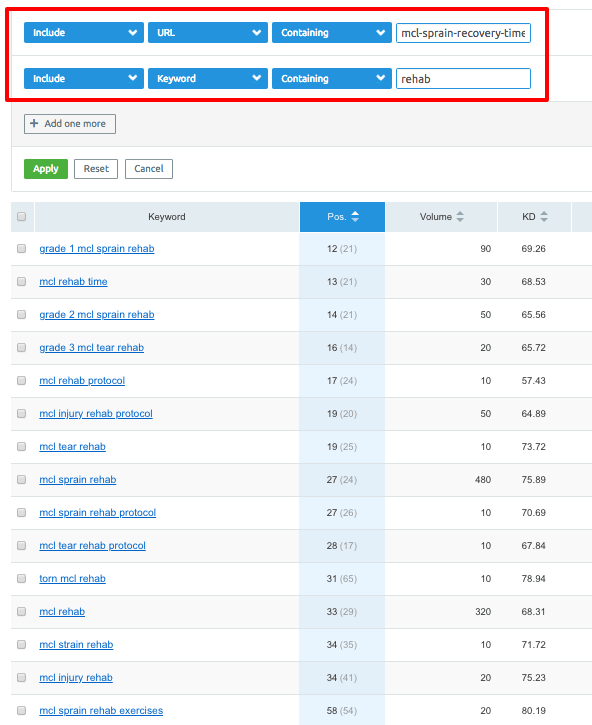 You can see which keywords are ranking between 20-30 and also see the impression received for those keywords. What do you think about using search console? Search Console is a good tool too; however it is going to miss all the volume data. This means you’ll understand a keywords rankings but maybe not its potential (i.e. what the average searches per month are of a given keyword). This is key to understanding what keywords actually have the potential to drive traffic. For example, a keyword that you rank 12th for with an average monthly volume of 12,100 searches has a lot of potentials. a keyword that you rank 12th for with an average monthly volume of 100 searches has far less potential. You can’t see this part of the data in Search Conole; meaning you’d be flying blind. my site is effected this algorithm update on august 2018….l have lost 60 % visitor… plz he me . How to recovery it! I’m sure it is a matter of recovery with a core algorithm update, unfortunately. Google is not penalizing your site, per se. One common theme we’ve across sites that lost a lot of traffic on August 1st is that informational websites that position themselves as references — but then pitch a product or e-book via affiliate links etc. — seem to be hit harder than other types of sites. If you have a real penalty, it will show in Google’s Search Console. Otherwise, Google has not given you a penalty; although it is possible your content has lost rankings. The best reason why content saw decreases on Aug. 1 was that other content provided a better answer to keyword queries (according to Google criteria) than your existing content. Consider augmenting your content that lost rankings to provide more details around persons, places, and things. Creating a new website would not offer any help; nor is it likely to give you any benefits. It is a very broad question. There are a number of great suggestions in this blog.